A win for cities occurred April 2019 in a California court, as the battle for local control of cell tower placement continues. San Francisco has challenged the FCC interpretation of the 1996 Telecommunication Acts rules which state that phone companies cannot install equipment that may “incommode the public use of the road.” Telecom companies considered that to mean obstructing travel but the state Supreme Court unanimously agreed that telecom companies have to abide by SF 2011 Ordinance which requires a permit for large cell tower placement and cities can deny a cell tower permit on the grounds of aesthetics. The passage of new Federal legislation and Federal Communications Commission FCC 5G FAST Plan , in September 2018, aim to streamline deployment of small cell wireless telecommunications facilities (WTF) and limit control by local governments for placement, fees, permit approval and timeline (shot clock) for “small cell” towers. These are in reality not “small” as they have standard cell tower RF emissions (3G, 4G), will be densely placed and will be located close to homes. In addition they will be in the public right of ways. The requirement for wireless carriers to show a significant gap in coverage or to provide the least intrusive method of filing a gap have been removed for small cells. Permits for small cell facilities are to be administrative and not by approval of city councils or boards (cannot be Conditional Use Permits) There is a limit that cities can charge per pole and batched permits are allowed and cannot be denied. No moratoriums on cell towers are allowed. This policy took effect January 14, 2019 with an a deadline of March 14, 2019. Cities and Counties are struggling to understand the new rules and decide how they should proceed with updated or interim wireless facilities ordinances as this creates a burden on their governmental processes. Some cities have continued to require similar conditional use single antenna permits for small and large cells towers in the hope that the FCC ruling will be overturned and ultimately deemed unconstitutional. FCC Order 18-133: A fact sheet and ruling of the FCC Order Docket 17-79 and 17-84 Accelerating Wireless Broadband Deployment by Removing Barriers to Infrastructure Investment reviews new state and local requirements. After the September 26, 2018 Ruling was passed by the FCC, more than a dozen cities including Los Angeles, Seattle and San Jose, challenged the FCC over these restrictions. The wireless industry states they will loose $2 Billion, but the cities consider that it is instead a giveaway to industry. The Ninth Circuit Court was asked to review the rules and give an opinion. On November 6, 2018, these lawsuits were consolidated with several other lawsuits in the western States including Las Vegas and Portland, and through a lottery, sent to the 10th Circuit Court of Appeals. On January 10, 2019 the Tenth Circuit Court of Appeals denied the motion to stay the FCC Declaratory Ruling FCC 18-133, stating that the cities did not demonstrate that they would suffer irreparable harm without the stay. The same day however, the Court granted a transfer of the cities petition against the FCC back to the Ninth Circuit Court of Appeals where it originated. In the original filing the cities have argued that the FCC Declaratory Ruling is ambiguous, overreaching, unreasonable and raises constitutional issues. A stay will “serve the public’s strong interest in “preserving the status quo ante litem until the merits of a serious controversy can be fully considered.” It is thought by some that the decision by the Ninth Circuit Court of Appeals will not be heard until the summer of 2019 with a decision in early 2020. Mayor Sam Liccardo, who has led the fight against the FCC Order in San Jose resigned from the FCC’s Broadband Deployment Advisory Committee in January 2018 stating, “It has become abundantly clear that despite the good intentions of several participants, the industry-heavy makeup of BDAC will simply relegate the body to being a vehicle for advancing the interests of the telecommunications industry over those of the public,” Mayor Sam Liccardo Resignation Letter, January 25, 2018. During a Senate Commerce Committee field hearing on October 12, 2018, held in Sioux Falls, South Dakota, titled “Race to 5G, A View from the Field”, Mayor TenHaken requested the FCC provide studies which show that this technology is safe for his constituents and taxpayers prior to placing 5G cell towers in close proximity to libraries, schools and homes. December 3, 2018 Congress members Blumenthal and Eshoo then wrote a letter to FCC Commissioner Carr asking for proof of safety of 5G. An article by Businesswire summarizes the press conference which was videotaped. Journalist Blake Levitt spoke at Senator Blumenthal’s press conference, explaining the lack of scientific literature on 5G and underscoring that thin skinned amphibians and insects will be most affected by this technology with disastrous results. She concluded that“The FCC is completely unprepared, unable and possibly unwilling to oversee 5G for safety, even at it barrels toward us.” Citizens are now writing letters to their local congress members asking for support for an investigation into the FCC, 5G safety as well as reevaluation of FCC exposure standards. See PST Blog here. At a Senate Commerce Committee meeting, “Winning the Race to 5G and the Next Era of Technology Innovation in the United States”, Senator Blumenthal brought up the question of scientific evidence of the safety of 5G. He stated, “I believe that Americans deserve to know what the health effects are. Not to prejudge what scientific studies may show. They deserve also a commitment to do the research on outstanding questions….How much money has the industry committed to support independent research?…has any been completed… on the biological effects of this new technology?” Industry representatives replied, “There are no industry backed studies to my knowledge right now.” Senator Blumenthal replied, “ so, we are flying blind here on health and safety”. There was no mention of public safety or environmental concerns aside from that brought up by Senator Blumenthal. The lengthy but enlightening full video of the Senate Commerce Committee meeting is here. PST Blumenthal Blog post here. California cities have already begun passing urgency ordinances for 5G/Small Cells: Petaluma, Mill Valley and other cities have written and updated their ordinances to maintain some control of utility poles and cell towers until the rulings become law. Calabasas, California has an ordinance with not only preferred locations but also restrictions on small or large cell towers in residential areas (see below). Burlington Massachusetts set up a policy to require annual recertification of small cells with a fee, causing Verizon to withdraw it’s application. Cities are also looking at Municipal Fiberoptic Options. Copper Landline alert to to cities to protect this important emergency communication system. Other states are moving forward with Streamlining bills. The City of San Mateo, California has set up it’s own small cell website with FAQ’s as it works through a new ordinance. Cities such as Sonoma, Fairfax and Mill Valley, California are deciding to pass emergency Wireless Telecommunications Facilities Ordinances to maintain some modicum of local control over placement and monitoring of cell towers. Underground (flush to the ground, within three (3) feet of the utility pole), all ground-mounted equipment not installed inside the pole. Connect to an existing utility pole that can support its weight. Requires a special use permit for cell towers that gives preferential placement of cell towers in historically sensitive areas around residences, schools, houses of worship, day-care centers that goes in preferential order from existing towers to industrial areas to non residential use (other) to business to residential property as the least desirable. Montgomery County Maryland has examined this issue with a study of RF radiation levels from small cells and found that FCC exposure levels were exceeded within 11 feet of the cell tower. In a Nov 6, 2018 memo Montgomery County has indicated that, along with 40 other jurisdictions, it plans to sue the FCC for violation of radio frequency levels. Fairfax, California adopted an emergency wireless facilities ordinance that kept the current 1996 Telecommunications Act requirements, not those of the FCC and listed order of preference for all new cell tower installations. Fairfax is also looking at fiberoptic alternatives to wireless small cell installations. At a Sept 25, 2018 meeting San Anselmo councilman Matt Brown stated “I don’t know what the safety gap is to avoid full-on war, but this is the beginning of a revolution and I wouldn’t mind taking the leadership role to defy the industry,” California Town Looks for Alternatives to Small Cell Installations Oct 5, 2018. The City of Portland, Oregon is one of the cities to file a lawsuit against the FCC for overreach in their FCC 18-111 Ruling for Small cell siting. 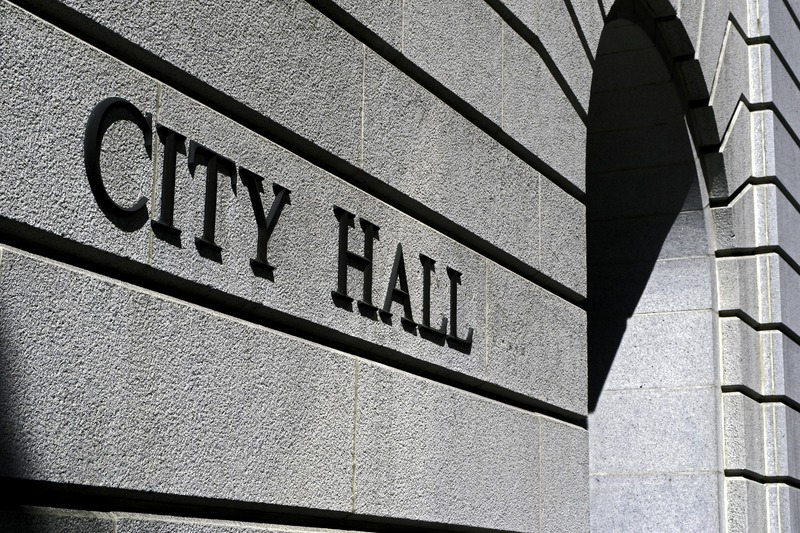 They held a city council meeting 2/13/19 discussing an emergency ordinance for small cell wireless facilities policy after being approached by AT&T to place multiple antennas in the city. Members of the community speaking at the council meeting highlighted that cities across the nation are at a crossroads. They can either have telecommunications by corporate ownership and control or by community control with municipal publicly owned and operated broadband for and by Oregonians. This would solve the equity issue as well as the health and privacy concerns. This is also a sovereignty issue and a property issue. They oppose this technology as it is not just a tool to improve peoples lives. In the manner proposed they note it is a tool for corporations. They note that the $200,000 offered to the city for digital inclusion is less than what AT&T extracts from the local economy every day. They also noted that $600,000 was given by AT&T to Trumps attorney Michael Cohen to push 5G. Citizens stated it is not an emergency to place an ordinance for untested 5G technology. Dr. Martin Pall also testified at this meeting. He pointed out that biological effects occur at 7 million times lower than current safety guidelines allow. Pulsed EMF’s are much more damaging than non-pulsed EMF’s. The city should study the effects of 5G if they are placed in the city as there has not been independent safety testing. Another resident, Kay O’neill, highlighted the surveillance and privacy issues of 5G. She noted Motherboard has documented that telecommunications companies like AT&T track sell our data and wish to further expand the dragnet to collect even more data on customers including from home browsing networks. Motherboard investigated a plethora of geolocation companies from car salesmen, property manager to bales bondsmen. This spy capability is also re-sold to others on the black market who are not licensed and seemingly without the knowledge of the telecommunications company or the consent of the person whose data is being collected. The increased ease of access with 5G dramatically increases the risk of abuse of sensitive personal information. Motherboard found that an individual company made more than 18,000 individual data requests though a single data broker. More than an oversight, it is argued that this is willful disregard for the safety and security of citizens. Portland Oregon City Council Meeting Feb 13, 2109. To hear the testimony go here. Several different urgency ordinances passed in California including Sonoma City, Palo Verdes, Glendora and Belvedere include several provisions that help cities protect themselves regarding issues such as liability, requirement for significant gap in coverage, comply with Americans for Disability Act, no transference of permit, allowance for independent expert and presence for location to be required. They have taken the opportunity to craft emergency ordinances that reflect the current law with regards to siting of wireless communications facilities including small cells, maintaining as much control and oversight as possible until April. Here are additions in adopted ordinances that would be important. from potential adverse impacts or visual blight created or exacerbated by telecommunications infrastructure; (3) protect and preserve the Town’s environmental resources; and (4) promote access to high-quality, advanced telecommunication services for the Town’s residents, businesses and visitors. Have a thorough radiofrequency data requirement as part of the submittal for consultants. For all applications require that both an RF Compliance Report signed by a registered Professional Engineer, and a supporting RF Data Request Form as Attachment A as provided is mandatory. RF DATA SHEET (can be an attached form to be filled out and submitted with application). Public notifications of planning commission hearings; Either in newspaper, website no less than 14 days prior to the date of the hearing. Americans with Disabilities Act Compliance. All facilities shall be in compliance with the Americans with Disabilities Act (ADA). If the facility will be located on or in the property of someone other than the owner of the facility (such as a street light pole, street signal pole, utility pole, utility cabinet, vault, or cable conduit), the applicant shall provide a duly executed written authorization from the property owner(s) authorizing the placement of the facility on or in the property owner’s property. The applicant would be required to hold a community meeting at least two weeks prior to the planning commission hearing on the use permit. If a nearby property owner registers a noise complaint, the city shall forward the same to the permittee. Said compliant shall be reviewed and evaluated by the applicant. The permittee shall have ten (10) business days to file a written response regarding the complaint which shall include any applicable remedial measures. If the city determines the complaint is valid and the applicant has not taken any steps to minimize the noise, the city may hire a consultant to study, examine and evaluate the noise complaint and the permittee shall pay the fee for the consultant if the site is found in violation of this chapter. The matter shall be reviewed by the director. If the director determines sound proofing or other sound attenuation measures should be required to bring the project into compliance with the Code, the director may impose conditions on the project to achieve said objective. The permittee shall not transfer the permit to any person prior to the completion of the construction of the facility covered by the permit, unless and until the transferee of the permit has submitted the security instrument required by section 12.18.080(B)(5). No person shall install, use or maintain any facility which in whole or in part rests upon, in or over any public right-of-way, when such installation, use or maintenance endangers or is reasonably likely to endanger the safety of persons or property, or when such site or location is used for public utility purposes, public transportation purposes or other governmental use, or when such facility unreasonably interferes with or unreasonably impedes the flow of pedestrian or vehicular traffic including any legally parked or stopped vehicle, the ingress into or egress from any residence or place of business, the use of poles, posts, traffic signs or signals, hydrants, mailboxes, permitted sidewalk dining, permitted street furniture or other objects permitted at or near said location. A lawsuit was filed December 21, 2018 by the Santa Fe Alliance for Public Health and Safety against the City of Santa Fe and the US Government for harms from RF radiation and proposed 5G installations. The complaint thoroughly documents not only the adverse effects of this type of radiation but also includes cases of illness and hardship of prominent members of the Santa Fe community due to cell towers. The lawsuit discusses violations of due process as well as constitutional violations. A study by a professional engineering company, CTC Technology and Energy, calculated the RF transmitting power levels and distance from small cells to determine if the FCC exposure threshold would be exceeded. Their analysis revealed that “a hypothetical deployment of 3 carriers at a robust power level, in order to comply with FCC/FDA power limits, the antenna site should not be placed closer than 11 feet from a dwelling.“ The study indicates that warning signs or fencing would need to be placed around the antenna pole as FCC limits would be exceeded on residents property. As noted in the FCC’s “5G FAST Plan” the radiation from the small cells installed will be 3G and 4G frequencies until at least 2020, as 5G technology is still in the planning and pilot stages. Verizon stated that 62% of wireless deployments in 2017 were Small Cells. 5G short millimeter waves require very expensive delicate equipment to obtain measurements and it will be difficult for residents to identify exposures. In addition, these “Small Cells” are located less than 50 feet from the ground. Who will provide accurate monitoring for these cell towers? The Telecommunications Act does not require or have the resources to monitor exposure levels once a cell tower is in place. In 2014 engineers looked at 5,000 cell sites and found that 1 in 10 violated FCC rules. After officials in Burlington Massachusetts questioned Verizon about the need for and monitoring of proposed small cells, it became evident that there were looming unanswered questions and many concerns, including health. To remedy this, town officials formed a committee and discussed a new policy that would not only require poles meeting ADA standards and not interfere with other pole equipment, but there would be an annual recertification to measure EMF and other aspects of the cell antenna safety along with an annual recertification fee as a condition of approval. Verizon attorney Mr. Klasnick stated “My client respectfully requests to withdraw the petition rather than have a fee,” he said. Equipment shall be located on top of the poles, colored similarly to the poles so as to blend in. Equipment shall not interfere with other equipment on the pole, nor obstruct or interfere with access to or operation of street lights or traffic controls devices on the pole. An important roadmap for cities called Re-Inventing Wires: The Future of Landlines and Networks, from the National Institute for Science, Law and Public Policy in Washington D.C., highlights both the many problems from wireless expansion and the benefits of wired and fiberoptic connections. Reinventing Wires: The Future of Landlines and Networks An important roadmap for cities called Re-Inventing Wires: The Future of Landlines and Networks, from the National Institute for Science, Law and Public Policy in Washington D.C., highlights both the many problems from wireless expansion and the benefits of wired and fiberoptic connections. Although The FCC has passed their “5G Fast Plan” and legislation has been passed to streamline deployment of small cells, most macro cell towers are still subject to the rules of the Telecommunications Act of 1996 thus cities can still include crucial information about providing proof of a significant gap in coverage, least intrusive methods and other key components of an ordinance for macro cells. Most wireless facilities permits for cities are now for “Small cells”. Cities and counties are receiving more applications for small cell tower permits on city utility poles and churches as industry is pushing to expand its small cell distributed antenna system (DAS) for 4G, 5G and the Internet of Things. Local governments are responding by reviewing their wireless siting procedures and amending or rewriting ordinances and codes in order to maintain some measure of control in the placement of cell towers in addition to maintaining equitable revenue from cell tower installations. While cities still have limited protected zoning authority, federal laws are being proposed and have passed which broadly preempt local control i.e. proposed Senate Bill S.3157 The Streamline Small Cell Deployment Act and Senate Bill S.19 The Mobile Act Now which was signed into law in May 2018. Under the guise of empowering rural america and creating millions of jobs, The Mobile Act Now speeds permitting for “Small Cell”deployment and fastbacks “Smart City” Initiatives to widely expand IoT and wireless broadband such as in San Jose California. The problem is that the “small cells” are not so small and can comprise any frequency or mix of frequencies not just 4G or 5G. The number of people that show up at hearings/meetings is much more important than persuasive letters/reasons; it is much faster and less expensive to win the political battle than the legal battle. Petaluma City Council Meeting July 16, 2018 discussing ordinance to limit 5G in residential areas of the city. Discussion of the importance and fine print details of an ordinance needed to protect cities and citizens from excessive numbers of small cell towers on every lamp post. A major problem about approving one or a group of cell antenna, is that once a cell tower is placed on a public utility pole or other structure it becomes, according to the 1996 Telecommunications Act, an “eligible facility’ structure and other antenna equipment can be added if it does not create a “substantial change”. This is a vague term and cities hesitate to deny collocation of antennas due to threat of lawsuit. In addition, other carriers can request to have their antennas on each pole and plea “discrimination” if their antenna are denied. New City Rules: Stronger for Citizens or For Industry? Although a few cities have proposed municipal code changes to streamline the process and make it easier for industry to place the cell towers, others such as Palos Verdes have chosen to strengthen theirs for increased public input. See Palos Verdes, California Wireless Technology Facilities Ordinance June 2017. Hempstead, Long Island has also led the way for other municipalities to regulate cell antenna and wireless telecommunications equipment in their city ordinance. Although it was not able to have specific setbacks from schools or homes, the law asks for significant proof from cellular service providers to establish the need for new cell towers (significant gap in coverage) and also ensures that approved wireless communications equipment is located in areas that minimize negative impacts on local communities by mandating a special use permit in residential neighborhoods (section 142.6). Verizon states they cover 322 million and 98% of the population and over 2.4 million square miles. It appears on their website that in cities there is no gap in coverage. Have the companies done independent engineering assessments of the RF power and tested the gap? If not cities can do this. How many registered cell towers are near you? You can go to Antenna Search.com Antenna Search to find out how many cell towers are registered or proposed in a radius of 4 miles from you. Cell tower placement still suffers from a continued lack of transparency in terms of monitoring, power densities or frequencies allowed. There is also growing awareness of the potential long term health effects from close proximity to cell tower radiation. The Telecommunications Act of 1996 prohibits discussion of environmental concerns and some interpret this to mean health concerns as well in the placement of cell towers. This is despite growing awareness and scientific confirmation of the potential health effects from exposure to cell tower radiation and all radiofrequency wireless devices. Cities and citizens are questioning this provision by giving “substantial evidence” of health harm but judges can vary in their interpretation. According to Section 704 of the Telecommunications Act of 1996 environmental but not health impacts are mentioned, thus by law should be able to be discussed and argued as a reason to deny a cell tower. SEC. 704. FACILITIES SITING; RADIO FREQUENCY EMISSION STANDARDS. The results of the recent 1) NTP study on cell phones and cancer, the 2) Ramazinni Institute study on long term exposure to low level microwave radiation and 3) Dr. Li’s prospective study at Kaiser on increased miscarriage with exposure to electromagnetic fields greatly strengthens the case for “substantial evidence” of harm. This adds to the growing body of science on broad adverse health and environmental effects from non thermal levels of radiation from wireless devices as well as cell towers. Blake Levitt’s article is a good read on the subject. Biological effects from exposure to electromagnetic radiation emitted by cell tower base stations and other antenna arrays. (2010) Levitt Article . The Bioinitiative Report has been updated and has an abundance of scientific research on RF EMR which has been summarized and is easy to understand. If there are no health effects why do firefighters get a health exemption under law? Health symptoms in those living near cell towers have been reported for years. In 2004 The International Association of Firefighters (IAFF) passed a resolution approved by over 80% of firefighters calling for a moratorium on placing cell towers on or adjacent to fire stations. They did this in response to a number of reports of headaches, dizziness, inability to concentrate, insomnia and other neurologic symptoms in their own firefighters when first responder cell towers were erected on their fire stations. They conducted their own pilot study in 2004 and found the firefighters studied had delayed reaction time, lack of impulse control, and difficulty in maintaining mental focus. The brain scans confirmed this and also controlled for other toxic exposures from fires. Letters in opposition to fire stations have been written by Union Leaders. For the safety of the citizens whom they are responsible to protect the firefighters are asking for state exemptions from cell tower placement on their facilities. In California, SB649 (2018 ), that was to streamline placement of cell towers on utility poles, the firefighters asked for and received a health exemption. The proposed SB649 Section 65964.2 reads “(3) The small cell is not located on a fire department facility.” https://leginfo.legislature.ca.gov/faces/billCompareClient.xhtml?bill_id=201720180SB649. The bill passed both the California House and the Senate but was vetoed by Governor Brown. Sacramento is first to 5G with 6 antenna already constructed and others under construction. Verizon is now asking households in Sacramento, as of August 2018, to put 5G routers in their homes as a “free trial”. Here are Verizon’s 2017 comments regarding Federal streamlining of wireless expansion. Los Angeles New York, Seattle and others are soon to follow. Verizon and other Cell phone companies have challenged cities who deny applications based on health or public safety, stating they have to supply substantial evidence. Verizon Sues Wisconsin City Over denied Cell Tower Application. August 2016. A Pushback on Cell Towers. New York Times. 2010 A Pushback Against Cell Tower lists a variety of reasons including 4-10% lowering of property values. Verizon Defends Cell Phone Tower Lawsuit March 2016 . In Almena Township, Michigan city council members voted to deny cell towers and then was challenged by Verizon with a lawsuit and backed down, approving them all. Patrick Shannon, an attorney who lives in Hillsborough, challenges the Hillsborough City Council who approved a cell tower cluster in residential neighborhoods in January 2017 without providing notice to the Hillsborough Wireless Committee, a city watchdog group. Installing massive cell towers near homes and schools violates Hillsborough laws, rural character, local values, aesthetics, public right of way under state law and least intrusive means under federal law. Violates location standards as according to Hillsborough city code the highest preference for placement is on public property and the lowest is in the public right of way. Is not the “least intrusive means” to close any alleged significant gap in coverage which is to colocate antennas on existing macro towers. Federal law allows unilateral extension of towers by 10 feet. This then sets a precedent for all other 26 national carriers to install the same number of towers and co-locate antennas. Requirements and limits on power density radiation levels that can be broadcast from the equipment. Significant Gap in Coverage: On a Federal level significant gap needs to be shown to permit cell towers. Citizens can take their own measurements if done in a valid manner. See Santa Rosa Fights Cell Tower Placement. Use the”least intrusive means” to close any alleged significant gap in coverage, which is to co-locate antennas on existing macro towers. Residents in Bar Harbor Maine approved a change in zoning laws that increased the cell tower setback distance from 500 feet to 1500 foot from schools in 2008. Bar Harbor Maine School Setback for Cell Towers. Nov 2008. A small cell facility shall not be located within a residential zoning district, a residential subdivision, or within 100 feet of a property that contains a residential use. No small cell facilities may be located within 2,000 linear feet from another small cell facility or cellular or wireless communication tower, unless such facility is co-located as defined in this chapter. All related equipment, including, but not limited to, electrical boxes, conduit, wiring, and mounting equipment shall be placed underground or be wholly contained within an enclosure so as not to be visible. Further, all electrical and communications connections shall run underground to the facility. Small cell facilities shall not exceed thirty (30) feet in height. Co-Location. Small cell facilities shall consist of not more than one small cell antenna per wireless communications user and shall be capable of providing the operation for two or more wireless communications service users. Footprint. Small cell facilities shall not exceed twenty-four (24) inches in diameter with the exception of the foundation, which said foundation shall not exceed six (6) inches above grade. Citizens have become more aware of how to file and appeal cell towers. One has to look at the city application or call city hall to find out where to file an appeal. In Palo Alto, a plan to install 92 Antennas in 10 neighborhoods has been appealed. Palo Alto: Residents oppose Verizon’s plan to add 92 cell antennas in neighborhoods. Palo Alto is now facing the new FCC rules that take effect January 14, 2016 and include a 60 day shot clock approval (versus the old 150 day timeline) and less control over small cell tower placement and fees. Appeal letters 2, 3, 4, 5, 6 ask for under grounding of equipment and to reject the proposal on these ground. Appeal letter 8 discusses not only health effects but also gives specific recommendations in legal terms how to amend the municipal code to add 1500 foot setbacks from homes, schools, hospitals, forestations, child care centers, require significant gap in coverage, least intrusive means to bridge the gap, and more. No significant gap in coverage could be found in any location where cell antenna were proposed in Palo Alto. This demonstrates a lack of need for the cell towers. Palo Alto, California: Proposed Cluster 1 cell towers: A “significant gap in coverage” is a stated reason to place cell towers however citizens are doing their own homework and showing substantial evidence of no significant gap in coverage using cellphones for that carrier listed at the locations targeted for cell towers. Palo Alto, California: Proposed Cluster 2 cell towers: Substantial evidence of no significant gap in coverage. 5 bars on the phone seen at each location. While significant gap in coverage is preempted by federal law, Increasing capacity is not preempted by federal law and is the choice of cities and counties. Here is an Architectural Review Board staff review September 21, 2017 for the permit request for 100 new small cell applications for the City of Palo Alto. Palo alto opposed California’s SB649 to “streamline” applications for small cells which would remove local authority for cell tower placement. Unfortunately, a California law sets the rates utilities can charge for municipally owned utilities. Palo Alto is a Publicly Owned Utility. Commonwealth Court of Pennsylvania: Richard W. Schomaker vs ZONING HEARING BOARD OF the BOROUGH OF FRANKLIN PARK and T-Mobile. https://caselaw.findlaw.com/pa-commonwealth-court/1524870.html. Here the Judge favored the citizen’s right to maintain the legal ordinance setback for a tall cell tower. In this 2010 appeal regarding placement of a cell tower on private property, the judge reversed a prior ruling allowing the Zoning Board Hearing to permit a variance of the city ordinance for T-Mobile. The Borough of Frankin Park, Pennsylvania has an ordinance requiring a 200 foot setback of cell towers to adjacent property. As stated, this ordinance and not the variance was ultimately upheld in court. As of November 2017 three dozen cities have sued the state of Texas over SB 1004, the cell tower fee-cap bill. It is argued that the bill does not compensate cities fairly and that the rental per pole should be more like $1500-$2500. Cities Sue Over Cellular Right-of-Way Cap Fees Athens Daily Review. Nov 16, 2017. In Georgia a Supreme Court Ruling in 2015 highlighted the need for cities to provide in a timely explanation for denial. Supreme Court Tells Cities to Explain a Cell Tower Denial in Timely Fashion. Repeal of Section 704 of the 1996 Telecommunications Act? Federal bills are being introduced to remove local authority Streamlining Small Cell Permits. Cities and counties can craft their own ordinances now to give more power and flexibility to local governments for cell tower siting. Legal assistance is important to assure there is no violation of the Telecommunication Act of 1996. Many feel section 704 needs to be repealed because it prevents discussion or consideration of health or environmental effects as a reason to deny antenna placement. In additon, see also a list of scientific letters on small cells at this link. CBS news discussing a local fight in San Francisco in 2015 to prevent installation of a small cell tower in a neighborhood. A resident appealed the cell tower which would have been 10 feet from his window and won. This was only one of hundreds of permits that have been allowed. Palo Alto Palo alto Residents Oppose Verizon Plan to Add 92 Cell Antennas in Neighborhoods. Petaluma- Municipal Code updated http://scientists4wiredtech.com/petaluma/#resolution. Piedmont Cell Antenna Sites OK’d: No One’s Happy . Piedmont, an East Bay city, denied antennas for 5 of 8 cell antenna sites, stating that they were out of compliance with city standards, design guidelines, noise levels and the general plan. City of Piedmont, Council Meeting Oct 16, 2017. The city did approve some cell towers out of fear of being sued. Fear of Lawsuit Prompts Site ApprovalWith All Parties Unhappy. Residents point out among other things, that there is no significant gap in coverage and showed a video near each proposed tower demonstrating full cell phone coverage. They argue more new cell towers are NOT needed. 5G is not yet developed and these will be 3G and 4G towers in residential areas adjacent to homes. The Telecommunciation Act of 1996.